Remarks by Turkey’s justice minister suggesting that the nearly 150 journalists currently behind bars in the country are terrorists, murderers or drug dealers and that no journalist is in prison due to journalistic work are “absurd and disgraceful”, the International Press Institute (IPI) said today. 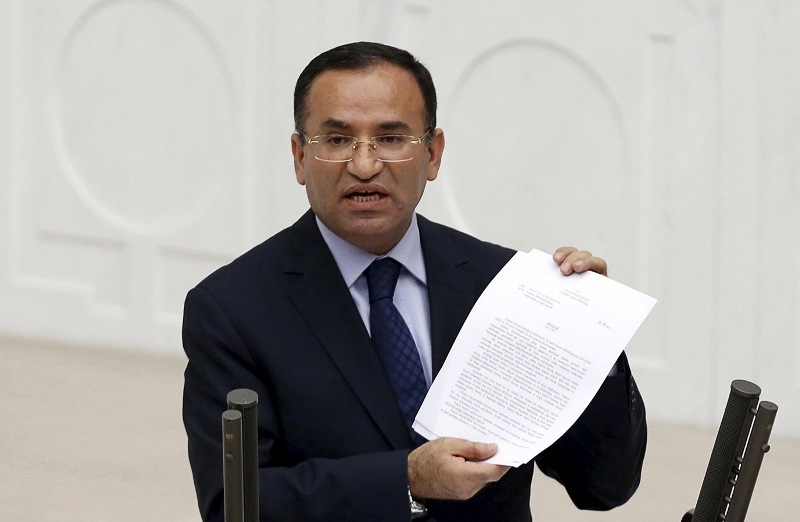 Justice Minister Bekir Bozdağ made the statement Monday night when opposition lawmakers confronted him about the country’s ongoing detention of journalists amid parliamentary negotiations on proposed constitutional amendments to give the president sweeping powers. “We categorically reject this baseless slander of scores of journalists who have been behind bars for months without any opportunity to defend themselves against unsupported allegations, including IPI Executive Board Member Kadri Gürsel and his Cumhuriyet colleagues,” IPI Director of Advocacy and Communications Steven M. Ellis said. In an exchange with an opposition lawmaker, Bozdağ maintained that “there is no one in Turkey’s prisons who was arrested solely for doing journalism”. That argument has served as a mantra of the Justice and Development Party (AKP)-led government, both when it imprisoned nearly 100 journalists earlier this decade before releasing nearly all of them and again over the last six months as it has conducted a wide-ranging purge under an ongoing state of emergency declared in the wake of a failed July 2016 coup attempt. Critics, including IPI, say the purge, in which hundreds of thousands of people have been dismissed from their jobs or detained without due process, has gone far beyond those with any real connection to the coup attempt. Noting that President Recep Tayyip Erdoğan labelled the coup attempt “a gift from God”, they accuse him of cynically using the state of emergency to silence opponents, settle old scores and consolidate ever-greater power for himself. The case against Cumhuriyet journalists provides a prime example. The newspaper has regularly earned Erdoğan’s ire for reports on Turkish policy vis-à-vis the conflict in Syria and the government’s efforts to crush a decades-long insurgency in south-eastern Turkey by militant Kurdish separatists. Authorities allege that Gürsel and his fellow Cumhuriyet colleagues, including Editor-in-Chief Murat Sabuncu, helped terrorists by scrutinising and criticising government policies and actions. Specifically, they say Cumhuriyet’s reporting aided militant Kurds as well asadherents of an outlawed religious sect led by U.S.-based cleric Fethullah Gülen, who the government blames for the coup attempt. Gürsel is specifically accused of using “subliminal messages” to support terrorists, reportedly because he criticised “Erdoğan’s bossy anti-smoking drive” in an op-ed that appeared two weeks after the coup attempt. He and nine colleagues have now spent more than two months behind bars, while an eleventh Cumhuriyet journalist, prominent reporter Ahmet Şik, was detained in late December. However, the overall allegations against them make little sense. 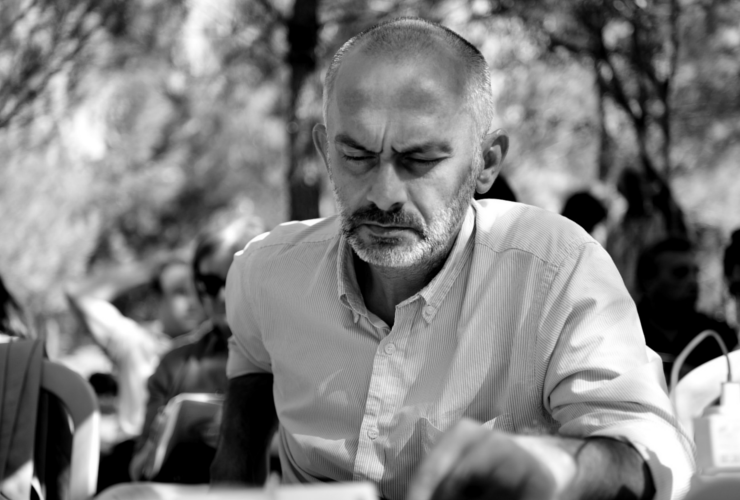 Not only has Cumhuriyet criticised Kurdish militant separatists and Gülenists – Şik was imprisoned for over a year from 2011 to 2012 as a result of his criticism of the movement’s influence – the two groups are virulently opposed to one another. Like many journalists in prisons across Turkey, no indictment specifying the charges against the Cumhuriyet journalists, much less evidence that would support those allegations, has been presented, and no date has been set for trial, leaving them to languish in a Kafkaesque legal limbo. In a statement posted on Twitter yesterday, Gürsel’s wife, Nazire Kalkan Gürsel, took Bozdağ to task for his accusations against her husband and others.